All advanced life forms have eukaryotic cells. Some 1.6–2.1 billion years ago, living organisms with eukaryotic cells, which are thought to have evolved from a prokaryotic ancestor by the process of endosymbiosis, appeared. Eukaryotic cells are ten times larger and more organizationally complex than prokaryotic cells. Eukaryotes (also spelled eucaryotes) exhibit staggering differences in shape and size that vary from amoebas to whales and from red algae (among the first eukaryotes) to dinosaurs. The principal distinguishing difference between prokaryotic and eukaryotic cell types is the presence of membranes surrounding the eukaryotic nucleus and other intracellular organelles. These walled-off compartments permit the organelles to perform their specific functions (such as energy transformation, nutrient digestion, protein synthesis) far more efficiently, unaffected by other processes that are occurring simultaneously elsewhere in the cell. The largest of these organelles is the cell nucleus, which contains DNA packaged in chromosomes that carry genetic information. Eukaryotic reproduction involves two processes: mitosis, in which one cell gives rise to two genetically identical daughter cells; and meiosis, where a pair of chromosomes divide, with each possessing half the number of chromosomes of the original cell. The Eukarya, a third domain of life, includes the animal, plant, and fungi kingdoms that are all multicellular, and the protist kingdom, which is mostly unicellular; protists are by far the most diverse and numerous eukaryotes. One approach to differentiate members of each of these kingdoms is to consider how they meet their nutritional needs. Plants produce their own food by the process of photosynthesis, fungi absorb dissolved nutrients (decomposed organisms, dead wastes) from their environment, and animals eat and digest other organisms. No generalizations can be drawn with respect to protists and how they obtain their nutrition: in this respect, algae are plantlike, slime molds resemble fungi, and amoeba are more animal-like. The appropriate classification and evolutionary history of the protists has been subject to revision in recent years, when genetic analysis revealed that some protists are more closely related to animals and fungi than to fellow protists. SEE ALSO: Origin of Life (c. 4 Billion BCE), Prokaryotes (c. 3.9 Billion BCE), Algae (c. 2.5 Billion BCE), Fungi (c. 1.4 Billion BCE), Leeuwenhoek’s Microscopic World (1674), Cell Nucleus (1831), Cell Theory (1838), Darwin’s Theory of Natural Selection (1859), Meiosis (1876), Mitosis (1882), Gram Stain (1884), Germ Theory of Disease (1890), Endosymbiont Theory (1967), Domains of Life (1990), Protist Taxonomy (2005). Eukaryotes include multicellular plants, animals, and fungi, as well as unicellular protists. 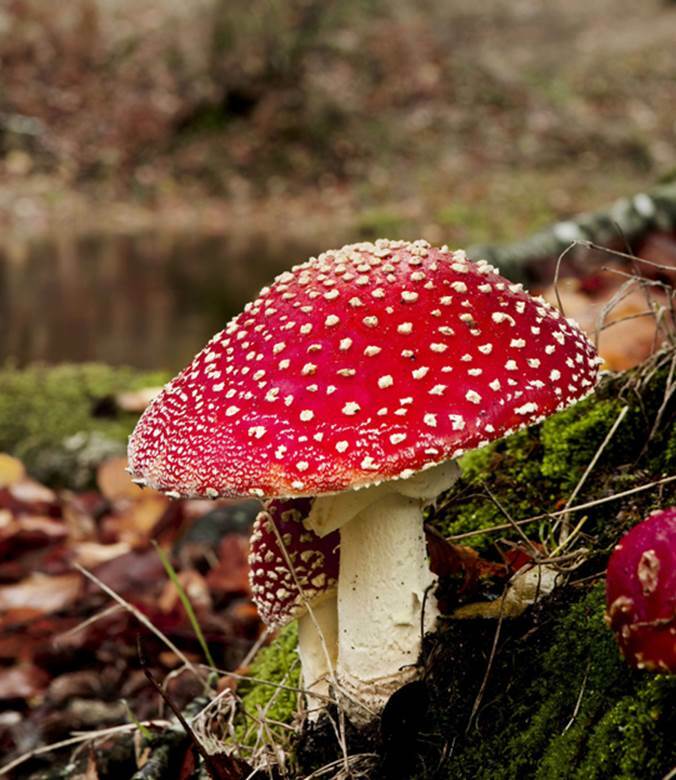 In nature, there are some 600 species of the fungus Amanita, which are responsible for 95 percent of all fatal mushroom poisonings.